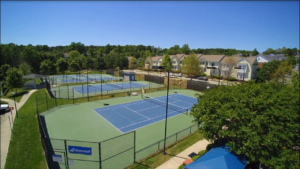 Southern Village Club offers a vibrant array of tennis activities to all levels and ages. Clinics, socials, tournaments and lessons are all designed to encourage members to participate and improve their game. 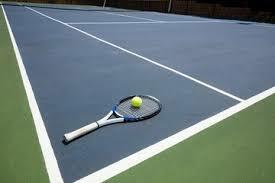 Scroll down to find more information about tennis. 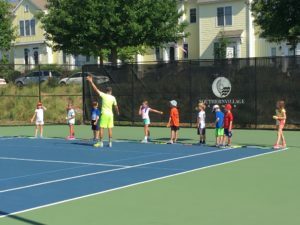 Tennis camps are available for all ages and abilities! Six weeks of camps are offered during June, July, and August. 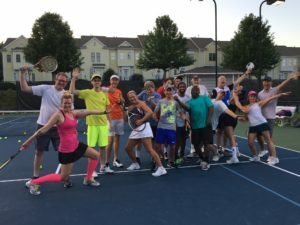 Southern Village Club offers a variety of clinics, including four levels of youth clinics, Men’s Night, Ladies’ Night, and beginner, intermediate and advanced adult clinics. Our full-service Pro Shop is proud to carry racquets, bags, strings and accessories from Babolat, Wilson and now Tecnifibre! The shop is open to both members and non-members. Come check out what we have to offer! Learn more about our Court Rules, Ball Machine, USTA policies, court scheduler, cancellation policies, etc. Our Junior Clinic Schedule has something for all ages and abilities! Using the red/orange/green ball progression, we have developed a complete array of clinics designed to meet all needs. We offer carefully planned clinics with certified Pros. Check out this month’s tips from your SVC coaching staff! 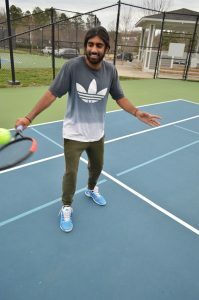 This month, Coach Ravi gives some helpful tips on managing your mental game. Check it out below!